leads, sales, projects, cases and more. BlueCamroo makes it easy for anyone to create attractive, visual reports to display the information that is key for them to make decisions. 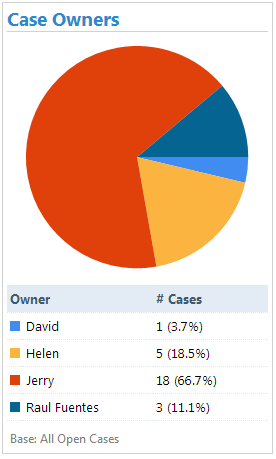 In a matter of seconds, you can create various graphical reports and share them with your team. Creating useful reports in some systems can be a daunting task, but with BlueCamroo, we’ve provided some on-screen tips and help to make sure you get it right the first time. We’ve provided a number of pre-defined reports such as the Opportunity Sales Pipeline, Sales by Region, and Number of New Leads in the Last Week. With our pre-defined reports, you can generate dazzling reports without doing a thing. Sometimes you may create a report that you will need others on your team to view and/or modify. 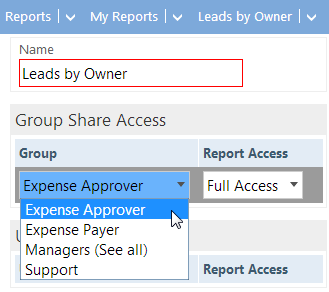 Using BlueCamroo, you can build your report and provide team members with specific access rights, so that when they visit their reports area it will be available for them to use. Choose from 1 of 11 types of visual charts for your reports to get the one that will best present your information. We’ve also included a sample image of each report so that you have an idea of how your data will be displayed before you move on to the next step – the results! BlueCamroo provides easy-to-use Dashboards. By easy-to-use, we mean no setup required. Just key, critical metrics a click away. BlueCamroo Dashboards pull together information about Leads and Sales, Projects, Invoicing and Payments, and Cases. When you need to prepare a nice report for that next important meeting, BlueCamroo can help. For any report that you create, you can export the Chart or Table or both results right to PDF. Just save it and mail it or print it and take it, BlueCamroo reports will help you get your point across.